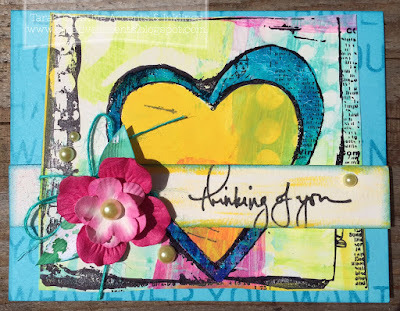 Just a quick note to share a card I made using paints and stamps by Dina Wakley :) You can find more details on the Stamp N Scrap blog, where I'll be posting every Tuesday! Hopefully it'll get me posting more often on this blog too... cuz it sure has been slim pickins over here! I am excited to be teaming up with Raya from I'm Impressed (on Granville Island in BC) to share on their new blog this year! 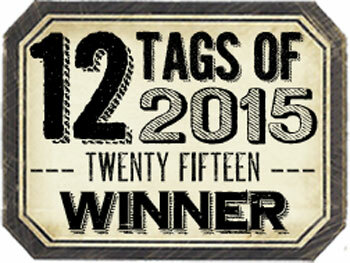 Other news... that tag I shared that was inspired by Tim Holtz's June Tag was picked as one of their winners! YAY! My prize was a GC, which I used to pick up a few of the new 2015 Distress products I didn't have yet (which is most of it... but I do have all the ink pads so far! Love the new colors!). love this card! Congrats on being chosen by Tim! !